Battle of the two powerhouse handguns. Yeh, I think most gun enthusiasts understand how powerful both these handguns are. For the non-gun educated, the term .357 magnum itself is enough to bring fear into their minds. Both the Glock 10mm and the .357 magnum are serious personal defense calibers. Which caliber is best against real muscles or something that simulates it? YouTuber mark3smle tests this out by demonstrating which caliber is capable of against a ballistic gel. Ballistic gelatin is a testing medium scientifically correlated to swine muscle tissue (which in turn is comparable to human muscle tissue), in which the effects of bullet wounds can be simulated. This is probably what you need to understand, is that the ballistic gel gives you an idea of the path of the bullet when it penetrates a target tissue that is similar to real muscle. You can observe the length of the penetration and the thickness of the canal. Normally, the beginning entrance is usually where its thick. This thickness is the density of where muscle tissues are being damaged. These two powerful cartridges penetration are quite impressive. Traditionally, the .357 magnum has a long track record of a mini-hand cannon for personal defense. In mark3smle test you can see the .357 penetration at 22 inches. The 10mm is a newcomer in the hunting world, but has become a big player in the market for bear hunters or anyone needing extra power. The 10mm penetration was around 16 inches. Without talking about the numbers, both calibers are very impressive for power. If you’re an auto frame person, go with a Glock 10mm. 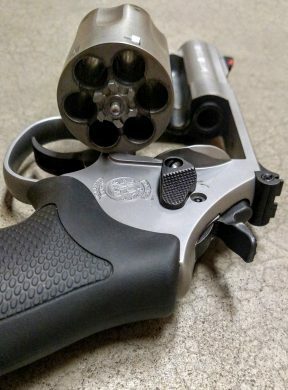 If you’re into Dirty Harry mini hand cannon, go with a .357 mag. 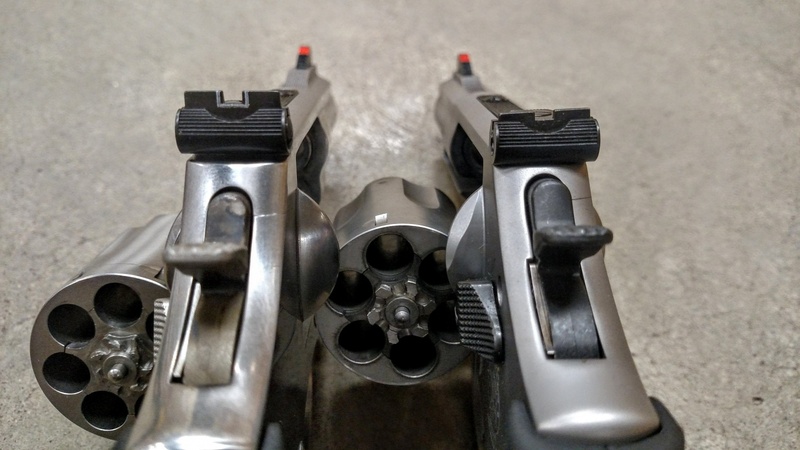 But keep in mind it is also about shot placement, if you get your shot onto a vital target then it doesn’t matter if you have a 10mm or a 357 magnum. Both will do the job. Which would you carry?, Let us know below. Any time we talk about handgun cartridge comparisons, the .357 magnum vs 9mm comes up and is a good talk. These two cartridges are very popular for personal defense. However, when debates are in motion within the two school of thoughts, objectivity isn’t always clear. In this segment we’ll compare the ballistics and performance of these two cartridges next to each other with an unbiased approach not on implying on one cartridge is better than the other. 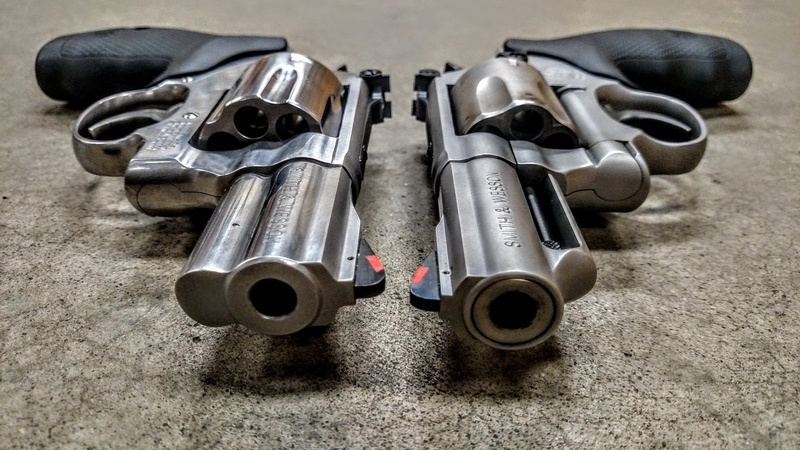 When it comes time for you to choose which is the better, it’s all about picking the cartridge that is going to work for your and prepare for potential shooting scenarios. We’ll try to objectively present various scenarios both the .357 Magnum or the 9mm can serve you better. Lets start off with some numbers. There’s the numbers but theres more to it than just numbers. Its like saying my gun is bigger than yours. Between the .357 magnum and 9mm, unfortunately its more like comparing apples and oranges. The cartridge information gives us a general look at stopping power and the ability to get a bullet on target, but it is missing an essential component which is terminal performance. Also known as “terminal ballistics” which means seeing how a projectile behaves when it hit its target and transfer its kinetic energy to the target. This type of test is usually done on a ballistic gel. When you look at the paper figures, it would seem the shorter 9mm is far more efficient. This is true when bullets of 100 to 124 grains are considered. The 9mm gets plenty of velocity worked up in its short case. However, the short case does not allow the use of heavier bullets at high velocity. As such, 147 grains is the practical limit for 9mm defensive bullets. The maximum velocity with these bullets is generally regarded as about 1180 fps. Economically, 9mm’s are more readily available and affordable. The 357 Magnum offers superior energy and velocity with heavy bullets at the expense of greater recoil. Muzzle blast is also a drawback. With a proper formulation and good powder technology, the 125- to 145-grain loads may be very efficient. 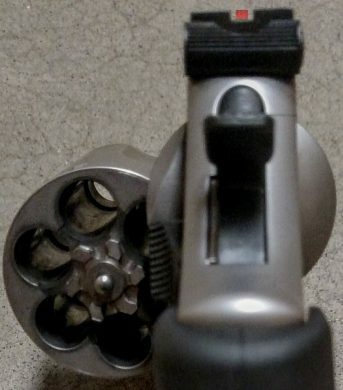 There is also more leeway in the revolver cartridge to use bullets with an open nose. Yes there are more information on ballistics that we haven’t cover in this article. But when we talk about these cartridges for personal or home defense. At within 20 yards, there is no difference ballistically between these two rounds that would make us lean more one way or the other. In the hands of someone proficient with either type of handguns (.357 Mag or 9mm) making an accurate shot is easy. If an in-experienced user is shooting multiple shots with a .357 Mag, dealing with a bigger recoil can make it harder to shoot accurately. Shot placement is not part of ballistics but it can be the X factor in defending oneself. If life is as easy as doing ballistics comparisons, then it would be a no-brainer to state that the .357 Magnum trumps the 9mm. The .357 Mag itself can send a same-size, same-weight bullet flying at much faster velocities which results to better terminal ballistics. Choosing a heavier cartridge isn’t going to be easier, and superior ballistics doesn’t necessarily mean a particular cartridge/caliber is better than another. 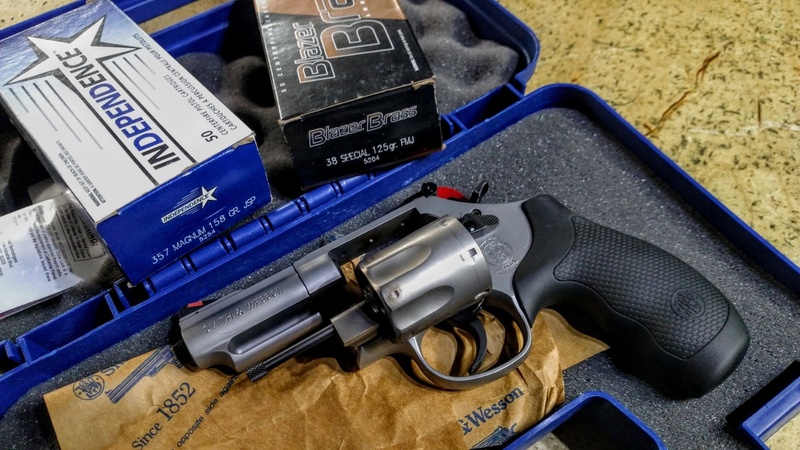 The decision pretty much depends on how comfortable and experienced a shooter is willing to spend on the ammo and how much usage of the handgun. So for the power dominate focused and you don’t care how much to spend on ammo – go with the .357 Magnum. For the folks that want a more affordable ammo and have plenty to practice and shoot with. Plus the readily availability of this ammo is huge – go with the 9mm. Whatever you choose, one or the other or both, with some practice, you are going to have a cartridge that is going to serve you well for years to come. 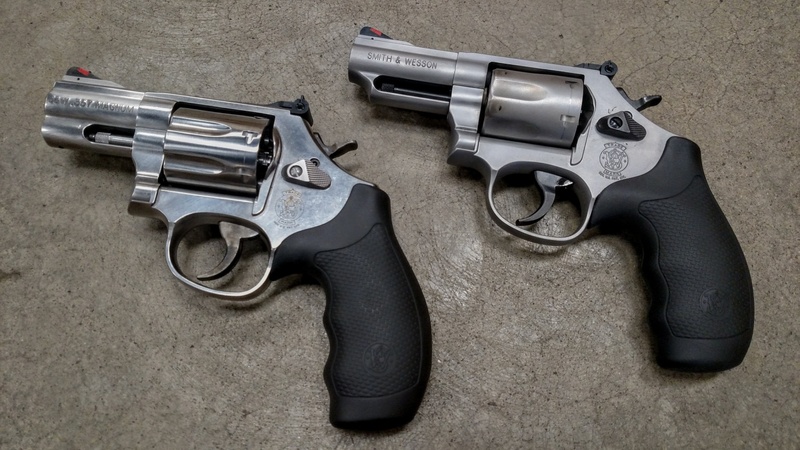 Here’s a list of price for the .357 Mag and 9mm: These prices are in the ball park, you’ll have to shop around within your local stores or on the internet. Which cartridge would you go with? 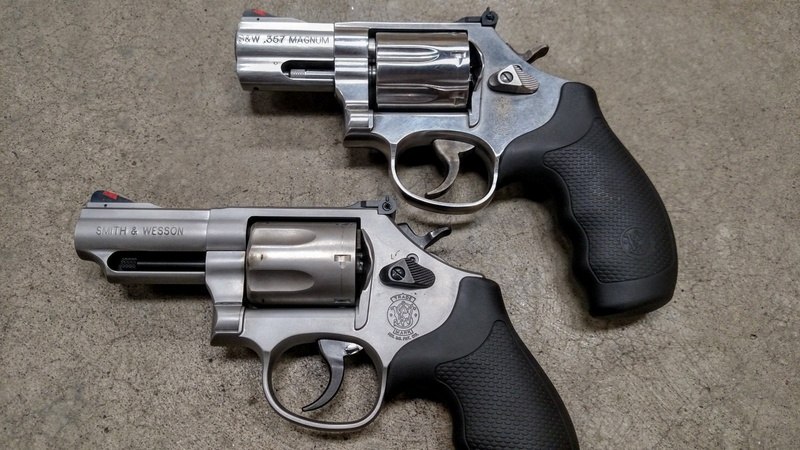 There are always debates on which is the better carry handgun and we get down to the ballistics, which is better?, a .357 Magnum or a 45ACP? Most of us gun enthusiasts understand the differences between the two ammo and how powerful it is. But sometimes its good to see the visual effects of the ballistics. The following is a penetration comparison of the two ammo and it is the un-scientific approach. Basically shoot at different type of objects and observe the effects. The other consideration that we’ll talk about is which one fits the SHTF scenario. Ok lets watch Youtuber TheFireArmGuy unleashes mayhems on some objects with his .357 and .45 ACP. It’s always a great match up that clearly defines the legendary stopping power of .45 ACP at shorter ranges, with .357 performing better for penetration at longer distances. Historically, the .45 ACP was specifically designed for the US Army to be a knock down round at short distances; intended to put a man down with just a couple of shots and the impact on the masonry that you see in the video clearly shows this. The .357 is more rifle-like and longer casing keeps a higher velocity at farther distances so this round out performed on the hardwood at longer ranges. Currently, it is a popular caliber, even hunters use it in carbines for that very good performance over longer ranges when compared to other pistol calibers. Is it good enough for SHTF? One factor will be your location and preferences. 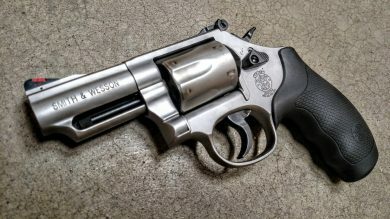 For example someone that lives in Alaska will probably go with a .44 Magnum, but someone in Michigan would use a Ruger GP100 .357. Also, this caliber is better for longer range than a .45ACP. .45 ACP users are mostly EDC personal defense carriers and those that love the big bores. For the availability of these rounds unfortunately, not as likely as a 9mm. How about you all, which do you prefer or maybe you’re packing one of these, let us know in the comment below. Anyone that follows Rob Leatham, who is known for his pistol shooting prowess knows about his “the Walk Back Challenge” drill. Basically the drill starts at the 50 yard take a shot with your pistol, if you hit the full size steel target. Proceed to the 100 yard, you keep repeating this drill until you’ve reached a distance where you miss the target. Normally this is around the 200 to 250 yard range. In this demonstration Larry Vicker using a Glock 20 which shoots a 10mm, the power is between a .357 and 41 Magnum. This pistol is ideal not only for home and self defense. But, it may be a perfect fit for hunters and back packers as well. Consider having 2 magazines which houses 15 rounds each, thats a total of 30 magnum power at your disposal. With the flatter trajectory of the 10mm rounds theres a good chance you can reach out and touch something if needed. Check out the footage below and whats the farthest that you’ve shot with a pistol?